Decluttering has always been a hot-topic in many of my blog posts, especially when preparing to list your home for sale. But have you ever considered hiring a professional to help you with organizing something even as simple as your closet? I had the pleasure of doing so. I hired Closet Sage by Melanie Gretsch and it made a world of a difference. Melanie says, “Our closets tend to be filled with our emotional attachments and clutter. These attachments compel us to keep things much longer than we should. But, when our closets only hold what we love and what looks most flattering, then we are left clutter free. This peace not only comes to the space, it can also be felt in our minds and hearts.” And she was right, my whole home felt a lot lighter just by organizing one aspect of it. JH: How did you get started in the professional organization service? MG: Becoming a wardrobe and closet organizer has been an evolution for me. I have been in fashion and retail for many years. I owned my own store for over a decade and before that, I was a personal shopper. I do feel this part of the evolution combines all my favorite things into one place. I really love that I am back working with clients-helping them to discover how to look and feel their best. In addition, merchandising has always been one of my favorite things. And, that’s how I approach each closet…I want it to look and feel beautiful, like your own boutique. Between working with clients and beautifying their spaces, it’s pretty much a dream job for me. JH: What is a typical consult like? Can you walk us through the process? MG: A typical consult starts with a conversation about each person’s personal style goals. That way, when we are editing the wardrobe, we can find together, what may be redundant or what may be missing. Then, it’s time to look through the closet. For most, this is the part that make them cringe- people are very private about their closets. It is a very personal space where many have shame for so many reasons. But, somewhat like a doctor, I’ve seen it all and nothing, I mean nothing is too big of a mess. I then go category by category (ie, I take out all the pants, then all the shirts, etc.). One category at a time, one piece at a time, we edit out what isn’t working. Together, we decide is this a great item? Do you love it? Does it bring you happiness? Does it fit your body as it is today? Would you wear it if you altered it or hemmed it? Once we have gone through everything, I then spend the rest of the time, organizing, seasonally storing away items, merchandising, reconfiguring, so that when the closet is reassembled, it is a peaceful, happy place. A place where everything hanging is something that is cherished and easy to find. During this time, we also talk about what items are missing from your wardrobe. Sometimes I suggest something specific but mostly people take notes so they know what to look for when they go shopping. We also spend some time discussing items that are loved but not worn because sometimes people aren’t sure how to wear it. We go through all those pieces and make sure the client has a plan how to feel good about what’s being kept. JH: Your focus is mostly on the closet and wardrobe. Do you offer other organizational services outside of that? MG: My focus is the closet and the wardrobe pretty much exclusively. JH: Other than the obvious reasons for being organized, what are some of the other benefits of hiring a service like yours? MG: Closets can be metaphors for our inner self. There are so many times we’d rather leave the mess unattended and walk away. But, unfortunately, for all of us, it mounts over time. You may not even realize how clutter destabilizes your inner peace. It’s hard for all of us to want to take the time and energy to make the changes that make the difference. It’s also hard to know what to get rid of without another set of eyes. By ourselves, we sometimes get lost in the ability to judge “does this look good?” We have all made mistakes in either direction! A service like mine is definitely a luxury. One can do it without hiring someone, it’s absolutely possible. You would want to get a friend to help you edit. And, as for the organizational part, I like to think that I bring my years of experience to make it extra special… but, if you have the time and energy, a few tips will get you much of the way there! JH: Are there any good places or stores you recommend for buying items that help with closet organization? MG: There are only a few places that I like to go to for closet organization supplies. Really the mother of all is the Container Store (also online). From storage boxes, to hanging storage units, to drawer dividers, etc. You really can get anything to make a difference there. After that, i do much shopping especially for hangers on Amazon. Places like Bed, Bath, and Beyond will also have some helpful items. JH: Do you only recommend donating old clothes or selling also? What are a few of the donation services you work with? MG: I highly recommend donating your old things. Places that I like to bring client’s and my own things to are: The Midnight Mission, Dress for Success, and NCJWLA. I like to turn what isn’t working into something that makes a difference. I have found consignment stores are only really worthwhile for designer items (and even then I have been sorry I didn’t give a special item to a friend instead of selling at such a deep deep discount). But for some very special pieces, I’d recommend the RealReal or places like that. Consigning non designer items doesn’t usually turn any kind of real profit. I personally think the donation makes a difference to someone and is a tax write off as well- win/win! JH: What are some quick tips you recommend for being or staying organized? MG: A few tips to help keep your closet looking good and organized…first, edit out what you don’t absolutely love. Then, make sure everything is hanging on one type of hanger. I most often use velvet hangers. They come in different colors- just keep it all uniform. Next, hang like items with like items. All shirts together. All denim together, all pants, etc. Within each of those categories, try to keep like colors together as well. Those few things will make a huge and immediate difference. Lastly, every time you purchase something new, try to force yourself to let one thing go…otherwise, it won’t take long to be back in the clutter again! JH: What’s the best way to utilize a professional organizer? That is, is it best to hire an organizer one time and then try to upkeep what they’ve done or should best to hire a pro like you to come out periodically? MG: The first time you hire a professional organizer will be the most dramatic difference you can imagine. A typical closet organization takes several hours. If after that initial visit, you find the clutter creeping back in, a follow up is easy. It can all be done in an hour or two. Often people want a follow up visit to change things over to a different season. In Los Angeles, we don’t need our sweaters for another few weeks, but it won’t be long before I go to my client’s homes to take the sweaters out of the storage boxes, put the boots back out, and put the sandals and bathing suits in the summer boxes! 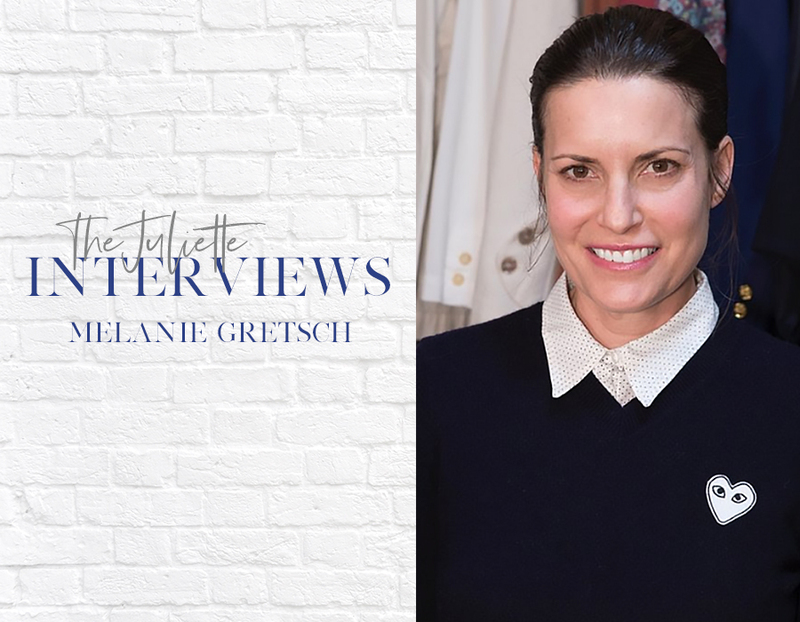 So if you’ve been opening your closet lately and muttering things like “I need get get rid of this” or “I will tackle this clutter soon”, but never do – it may be time to have Melanie come rescue your closet.Visit Closet Sage by Melanie Gretsch at www.closetsage.com.